When Victoria Azarenka left the Australian Open after her 2016 quarter-final loss, no crystal ball could have forecast that when she returned three years later it would be as a mother of a toddler son, Leo. Kim Clijsters in 2011 was the last mother to have her name etched on the Daphne Akhurst Memorial Trophy, and Serena Williams, famously, was secretly eight weeks pregnant with baby Olympia in 2016 when she claimed her 23rd major title to move to within one of the all-time record of another tennis mum, Margaret Court. Azarenka will be mixing practice sessions and matches - her first round is on Tuesday against unseeded German Laura Seigemund - with hands-on parenting that may include a trip to the Royal Melbourne Zoo and the Melbourne Aquarium. Suffice to say that this is not what the 2012-13 Australian Open champion imagined when she last departed these shores. “Definitely, definitely not,’’ Azarenka smiles. “I think that’s life. You sometimes have a plan for yourself and what you’re gonna do, and then it takes you in a different direction, and the direction, maybe that is way better for you. Leo, whose father is Hawaiian golf pro Billy McKeague, turned two in December. 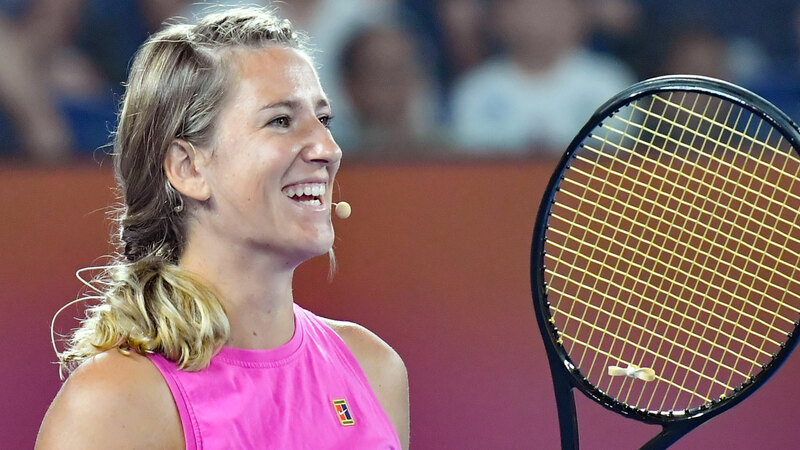 A bitter custody battle after his parents’ split in 2017 restricted Azarenka’s travel, but the courts ruled she was clear to return to Europe last March, and is now back in Australia with a very different life, and outlook. “I think a little bit of everything changes,’’ says the 29-year-old. “I think I do learn a little bit more patience than I used to (have) before, and I think that people probably see a little bit more of my off-court personality now that I’m a mum than maybe when I was just playing tennis. Azarenka has discussed motherhood with Williams, just as 16-month-old Olympia and Leo have shared a playdate. But any adult competition is also of the friendly kind, and both multiple major winners support the recent WTA rule change to provide extra rankings protection for mothers returning from parental leave. “We both want to win, (but) to claim the title as a mum I’m not sure it’s a stronger competition in that way,’’ says Azarenka. “I think it’s a bigger dream for both of us to do because it’s going to be very special, so I think it would mean a lot to both of us. 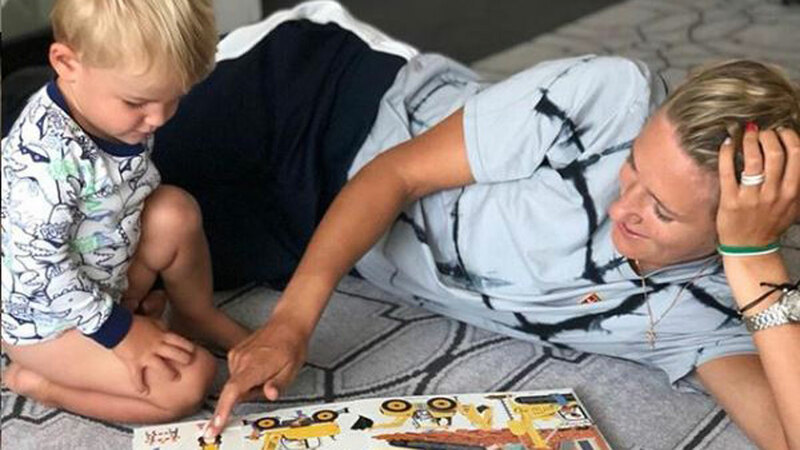 Yet along with the joy of parenthood comes the inevitable demands on time and emotions, and Azarenka speaks openly of the the guilt she feels when tennis necessities come at the expense of spending “every second” with Leo. She is still seeking “the right balance of being able to still have a little bit of time to myself - which I don’t really remember what it’s like, and to be able to still give the best to my son. So that’s been a challenge, especially last year for me to work it out, and I hope I’m doing a little better for myself this year. As for the tennis, Azarenka is now ranked 53rd, and is relishing her overdue return to Australia, where her best results have come. Yet what feels like a long absence has also seemed to pass in a blink. And a son to share all that comes next.